The officially endorsed history of the Australian of the Year awards. Available from reputable bookshops everywhere. – Adam Gilchrist, Chair, National Australia Day Council. Australians of the Year celebrates the fiftieth anniversary of the Australians of the Year award by taking a close look at the lives and achievements of over 50 inspirational Australians including Joan Sutherland, Jack Brabham, Neville Bonner, Fred Hollows, Catherine Freeman, General Peter Cosgrove and more. 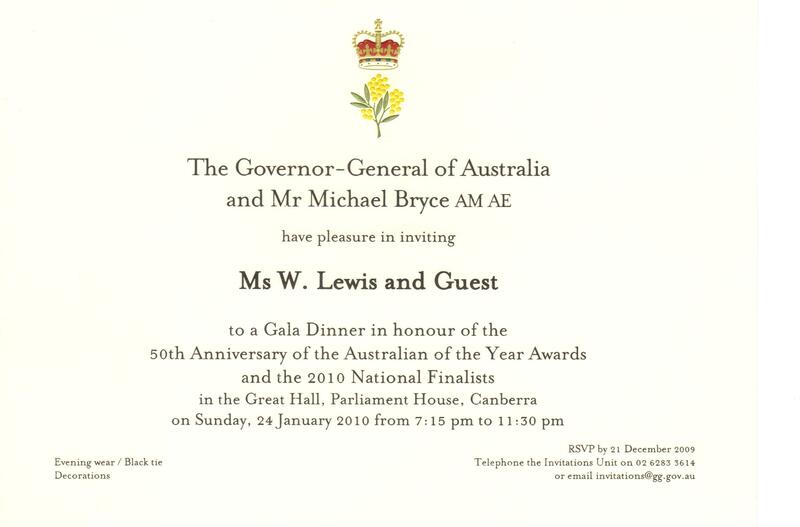 I was invited to the Australians of the Year fiftieth anniversary dinner at Parliament House, Canberra. You can read about it here.